Publisher: Witherby Publishing Group Ltd. 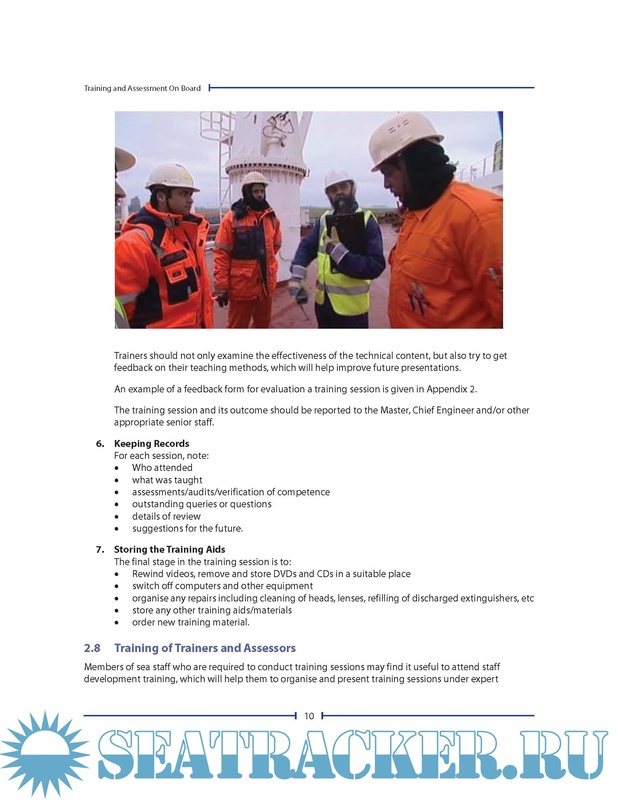 Description: This handbook is a guide to seafarers and managers on how to make best use of opportunities for practical training and assessment of competence on board ship. As the shipping industry moves forward and adopts new technology in operations, so too there are opportunities for the use of new technology in education and training. The earlier editions of this book described the best ways to take advantage of traditional opportunities on board. 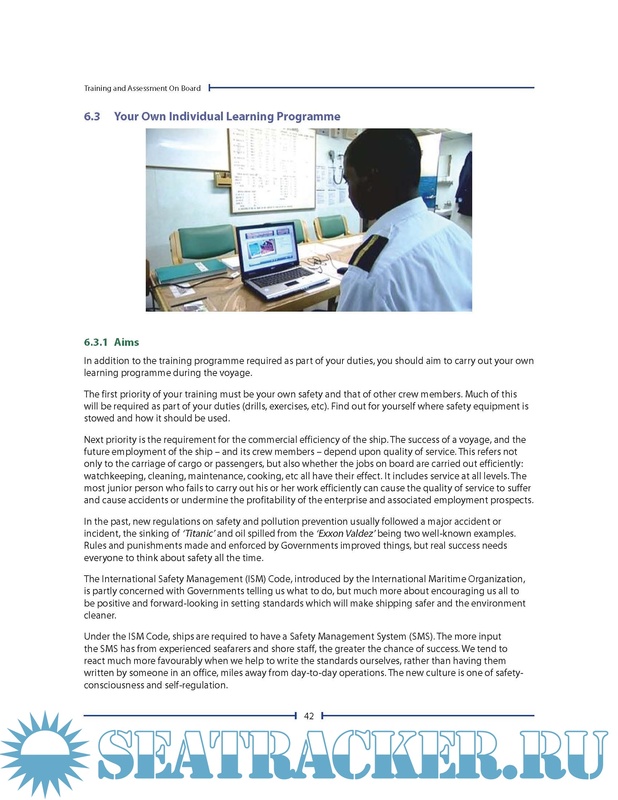 The fourth edition still emphasises the importance of traditional methods of training, briefing and de-briefing, drills and exercises but also shows how new technology can be used to make shipboard training more effective and able to achieve more in the limited time available. 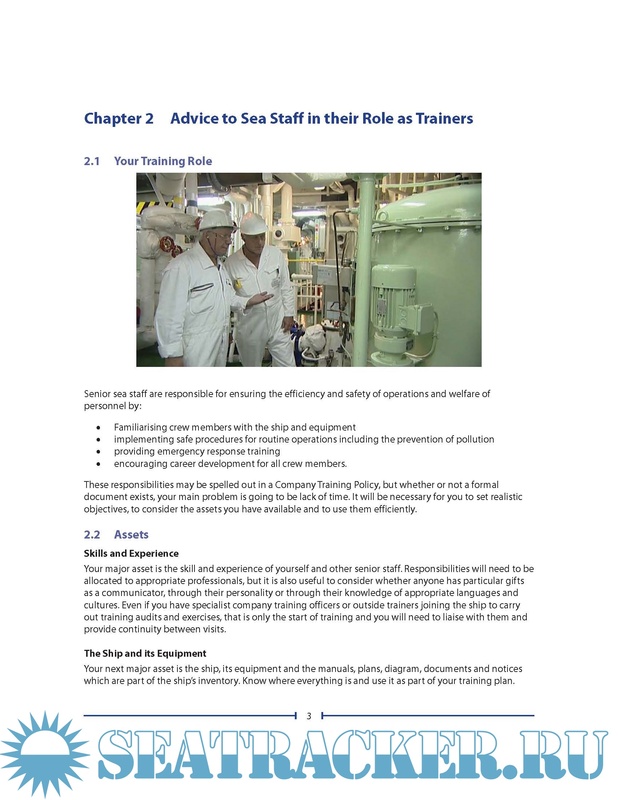 Training On Board was first published in 1991. 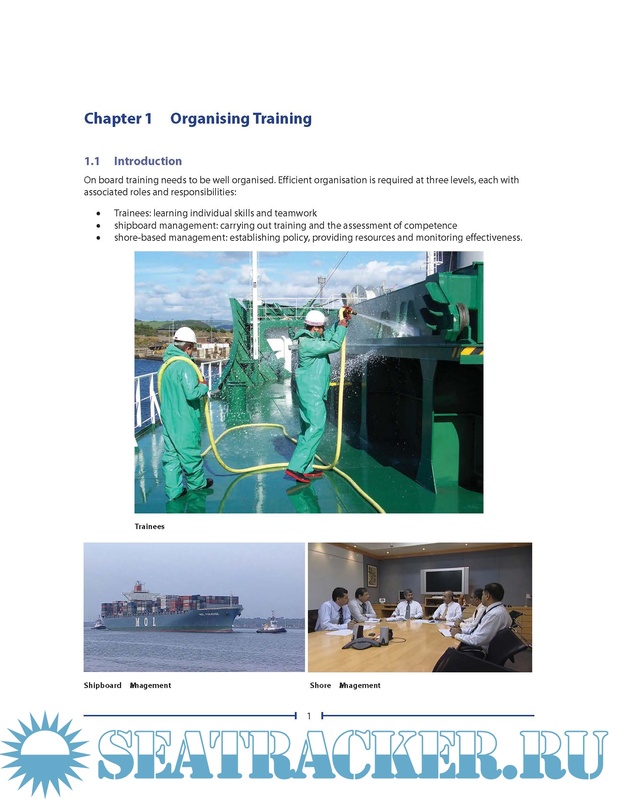 It described how managers, trainers and trainees could make the best use of education and training opportunities on board. 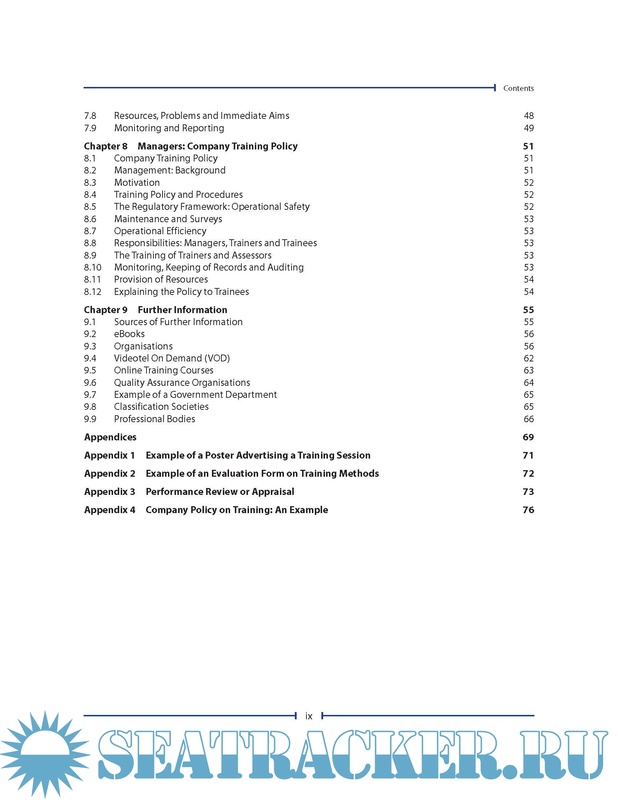 The second edition in 1997 contained more information on assessments – if you cannot measure what is being taught, you do not know how effective your teaching is. 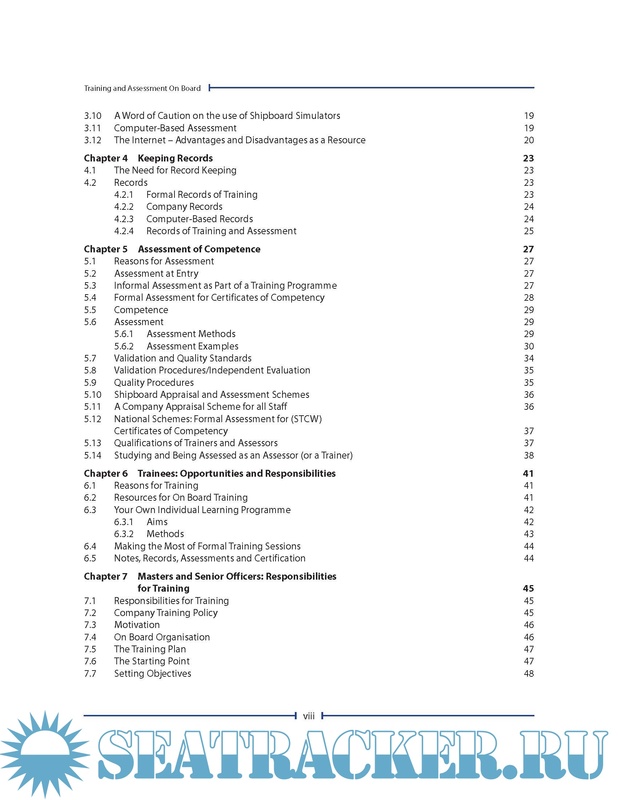 The third edition in 2002 included more information on international rules on certification. 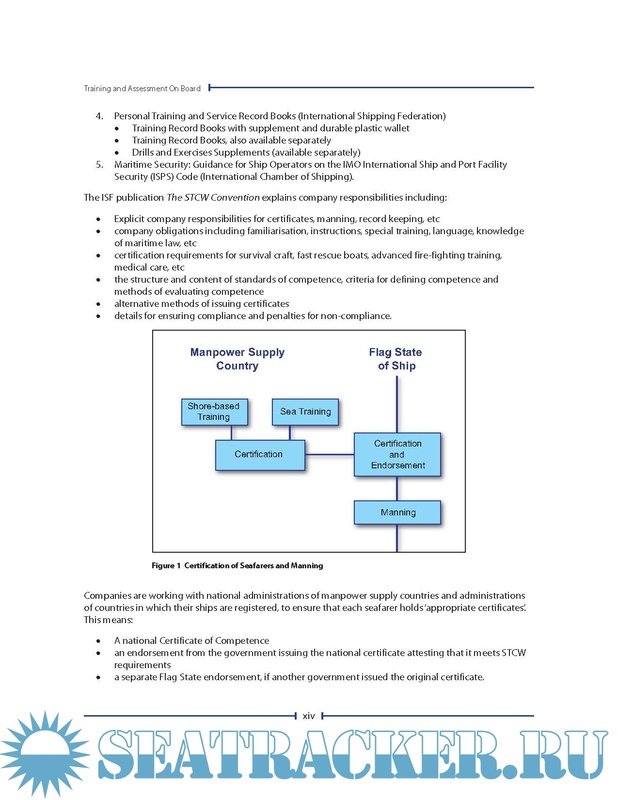 This fourth edition takes into account the major revision of the International Maritime Organization’s Standards of Training and Watchkeeping in 2010.